In my previous review I talked of trilogies and how some ate easy to remember 'cause not much happens. Then there are books like this where so much happens and is developed in such circles that the key players are etched in your head. Its man's nature to forget Gods and instead create facades in his name to serve the selfish interests. And it always comes down to miracle babies and the harsh realizations for all. 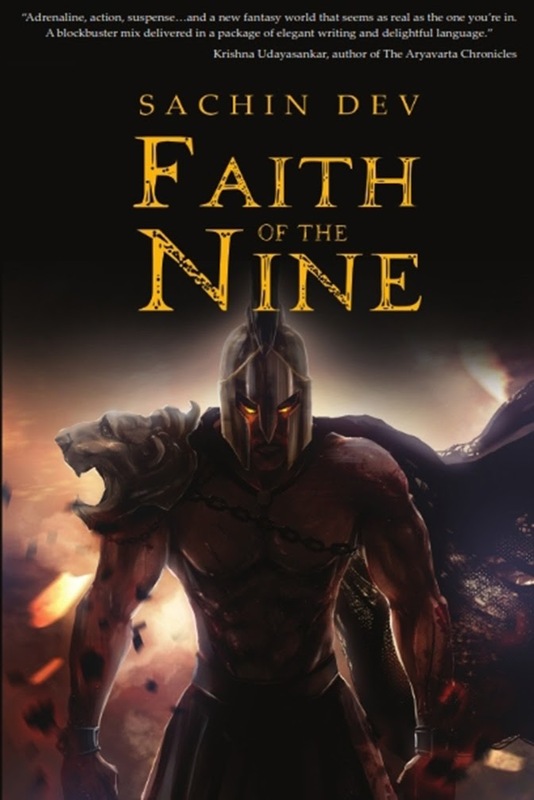 Faith of the nine has a similar plot plus few characters whose destiny is linked to this boy. The author is well read, visual and articulates each scenario in Details. The book reflects our past and preSent in a subtle way as much as it is a quest for truth - be it the characters in this book or yourself. The events and places somehow remind one of our roots. Like memories or stories heard long back and now being played out. What i loved in the story is that there are no loopholes or shortcuts. The action sequences and the mystique is flawless and used well. The book is much engaging and is a treat to read for anyone who likes fantasy books. Even otherwise , this is an entertaining one for all. Am eagerly awaiting the next part.